In the What's News segment, Ryan summarizes the findings in the annual Guest Satisfaction Study done by J.D. Power. He reviews the takeaways on what guests expect from hotels and the trends in guest satisfaction in different market segments. In The Suite Spot, Ryan and Brittany talk about when is the best time to ask for feedback from your guests and how technology has changed the way hoteliers can receive feedback. They also analyze the impact that guest feedback can have on your employees and potential hires. In the Q&A segment, Ryan and Brittany give some advice to a hotelier who is looking for creative ways to receive more feedback from their guests. As a reminder, to submit a question for future episodes, call or text 407-984-7455. 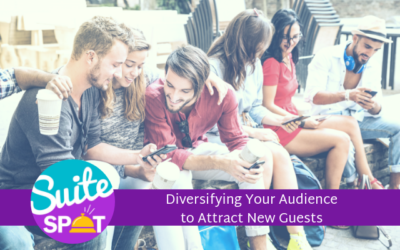 Ryan Embree: Welcome to Suite Spot where hoteliers check in and we check out what's trending and hotel marketing. I'm your host, Ryan Embree. Ryan Embree: Okay. Hello and welcome everyone. Thank you for listening today. My name is Ryan Embree. I am your host of Suite Spot, a hotel marketing podcast. We've got a very exciting episode for you. Episode Eight about guests feedback, the good, the bad, and the ugly. Whether it is wanted or not, we are constantly receiving feedback from travelers. That is the nature of our industry and it feels like every day a new reputation or review site is popping up and more channels and forums for travelers to get feedback to hoteliers. So today we're going to be looking at a couple things in the Suite Spot. We're going to be reviewing how to leverage and utilize that feedback to better your business. Really show you how feedback can give you a blueprint and a roadmap to reputation success. We're also going to be joined by Brittany Hill, who is our senior digital marketing specialist. She consults with hotels. We're going to get some tips and tricks from her on how to get feedback from travelers. Ryan Embree: In our What's News segment today we're looking at an article from lodging magazine which dissects a pretty extensive report that JD Power does the guest satisfaction report that is released annually. We're going to get some key metrics and statistics out of that report and again, going to translate that into how we can use that to better your business. So thanks for joining and let's go ahead and jump into the What's News segment. So the first takeaway that we can get from this report and article is that overall satisfaction is up in the industry, which is great to hear. It is up increased eight points to 825 out of a thousand point scale. So the biggest movement we saw a was in the upper midscale segment, which was up 12 points, extended stay in economy segments, posted a six point improvement. So half of that. Still good to see, but obviously a lot slower climb than that upper midscale. Ryan Embree: Another interesting but obvious correlation here was the correlation between technology and higher guest satisfaction. I think a really good point that this article made was actually in regards to something that we kind of take for granted now in 2018, which is flat screen TVs, large flat screen TVs, and sometimes even smart TVs and these hotels maybe a decade ago, a couple of decades ago, this was a added amenity. It was an upgrade anB now this has really turned into a norm for a traveler and this something that they expect. But diving even deeper into technology, you think about the things that hoteliers are now able to implement in the guest experience, like mobile keys, right? Being able to open your doors straight from your phone, mobile applications, Alexa's in the rooms. Ryan Embree: We're hearing a lot about that. Even some brand partnerships that have to do with that. So again, this is the type of experience that customers are coming to expect from hotels. So the last interesting point that I wanted to kind of pull from this article and share was the talk of local experiences. And again, correlation with guest satisfaction. We've talked many times on this podcast, whether it be about the rise of Airbnb or maybe the advantage that independence might have when leveraging local experiences, you know, if you guys are interested in learning a little bit more on how to maybe leverage some local experiences at your property. We have a couple of past episodes that would really work episode to episode five, can really share that with you. Ryan Embree: Today we're going to be joined by again Brittany Hill, who consults with these hotels and is here to share some insight on how to collect feedback and where the major touch points are for travelers in the customer experience and how you can make sure that that stays positive and that experience goes from a personal experience to a public experience on these review sites. Okay. With that being said, let's go ahead and welcome in Brittany. Brittany, hello. How are you today? Brittany Hill: Good. Good. I'm happy to be here. Ryan Embree: Yes. Thank you so much for joining me. Today, as you know, we're going to be talking about guests feedback. I thought it would be a great idea to get you in here. 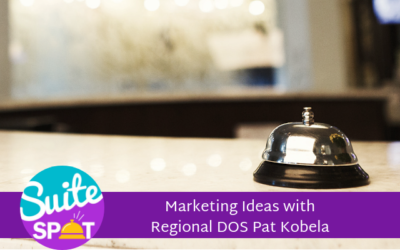 You talk with hundreds of hotels, you have, you talked with hoteliers, owners, GMs daily, you get all sorts of tips and tricks and best practices on how these hoteliers are trying to get feedback. I think they're starting to understand the importance of it now, but with this episode we figured it would be a great idea to go ahead and show hoteliers how they can leverage it. Again, could just hone in on the importance of guest feedback for a hotel. So I guess let me ask you this and I'll kind of start with this question. I think I know the answer, but when would you say is the best time to ask for feedback from a guest or a traveler? Brittany Hill: Yeah, that's a great question. I think all the time is a really good time to ask for feedback because if the guest is on property and you know, if they're having a great stay, you want to hear that, you want to know that, that you're providing great service, or if there maybe is a problem a while while they're staying there, you can fix it. In terms of post-stay I would say, you know, asking for feedback is critical within those first few days after the guest has checked out so that they still have some details on their stays so that they can share it with you if needed. Ryan Embree: I love that answer all the time. Once, once you have that traveler, even prior to them coming to the property, they still have impressions of your property. If they have questions prior to their stay, they might be contacting your front desk with specific questions. And technology has really changed. Um, the way that hoteliers are receiving that feedback all through those three phases, right? 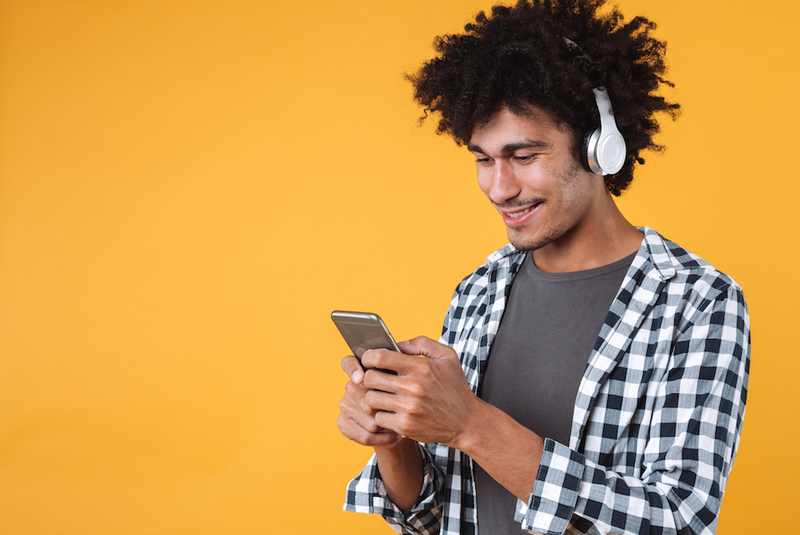 The pre-stay, during the stay itself and then post stay, as you were talking about, can you share some of the ways that technology has made it easier for hoteliers to get feedback or even for travelers to share their feedback? Brittany Hill: Yeah. And like you said, I mean it technology has affected each phase of the check in during the stay post-stay. So when it comes to pre-stay technology really allows travelers to get a really good idea about the property based on guest feedback that have already stayed there and it makes it very easy for them to contact the property, like you said, to get information from the front desk their contact information's up there, phone number, but when it comes to staying at the property and feedback, then I think at that time social media is a really interesting way to play with feedback. If there are events on the property, if there are competitions that they're having that guests need to be on property to participate in, they can start to get some feedback about customer service or just the events they have while they're staying there. Brittany Hill: But in terms of technology with, with post stay, I think that's a very interesting place that we're playing with right now in the industry, because sites like Google or asking travelers right when they step off the property based on their location, they know where they stayed and they asked them, "how was your stay there?" Um, so leaving reviews and post-stay feedback is easier now more than ever for travelers to just immediately give their details about their stay. And, you know, retroactively it affects the owners that they can now understand what's being said about their property and how it's affecting their business. I'm pretty immediately because about 10 to 15 years ago, they maybe didn't know what the reputation was outside off the property, on the community, even across the country. So now if they're paying attention to it, they can really understand what's happening. Ryan Embree: I agree. And you mentioned it, Google is asking you information they're trying to fill in constantly the gaps and the holes that they have on information on businesses and trying to shed light. You know, I've even walked out of a hotel and it asked me about a particular subject on the hotel, you know, how the food was or the cleanliness, just trying to again, shed light on maybe those gaps for its users. You know, there's been a mentality of that being a negative thing, but we really want to show hoteliers that this really is giving them, you know, a daily audit of their hotel and giving them information that they can utilize for the future to better their business. So I totally agree with you there. One other thing I wanted to mention when it came to technology during the stay was Alexa's in the room, right? Ryan Embree: And we heard about that a lot at HITECH. You can constantly be receiving feedback from what a traveler is asking for when they talked to Alexa. I know there's a lot of services with text messaging, SMS messaging to again, just have little checkpoints throughout that experience to make sure that they're on the right track and that you're not missing any key points during their stay. What are the ways that hoteliers can use this feedback to do exactly what we're talking about better their business and make sure that where they're missing the mark, it doesn't happen in the future and impact their business? Brittany Hill: Absolutely. Yeah. I think having the breakdown of certain key points in this feedback, usually we refer to it as sentiment analysis, is incredibly beneficial for these hotel owners now because I can't imagine how frustrating it used to be when you hear things about the property and you just wouldn't quite understand, you know, what the main problem was or what the highlight was of a guest's feedback. So now having breakdowns of certain areas, like for example, maybe maybe noise level on the property, maybe that tends to be the common theme in a properties review. Um, so having that ability to see that in these reviews and seeing that breakdown it's incredibly beneficial for owners to then maybe put some money towards insulation or different things that can really focus on these different areas of these reviews that they constantly start to see as they get the daily audit. I think it's almost like a peace of mind for, for the owners so that they can start to understand maybe where they need to improve and where they're doing really well as well. So they can really start to break that down day to day. Ryan Embree: Yeah. And you know, I mean you've talked to enough hoteliers to know these capital investments that these hoteliers are putting into their properties are hundreds of thousands of dollars sometimes. So these decisions which used to be just made on a whim, you know, from a personal perspective or a consultant's perspective, are now having a lot of data and analytics behind it. Saying, "all right, where do I spend my money? Where's my money best spent that's going to benefit my property?" The other thing that I wanted to bring up is when we talk about guest feedback in impacting employees, we know that in the hospitality industry, turnover is one of the biggest issues. It's almost like a revolving door sometimes with some of these hotels that we're talking to. How can guests feedback impact potential employees at a hotel? Brittany Hill: Yeah, that's a great question. And just like you said, I mean it is a concept when it comes to online reviews that we kind of tend to overlook, but it really impact potential new employees. I mean, I know myself and in society today, I mean everything that we do, we look at reviews before we make any move before we buy a product, before we stay somewhere, before we go to a restaurant. And before we interview for a job. So potential new employees are now starting to read reviews on the property to see, you know, "is this a place where I really want to spend all my time?" And they start to look at the breakdown of these reviews and see, you know, is there, is there a not a lot of noise level is, you know, is this a nicely renovated property? Brittany Hill: How do the guests feel? Am I going to be dealing with happy guests or am I going to be kind of a peacemaker? So that really starts to affect whether or not you start to get the interviews and the potential employees that you want. But in terms of current employees too, I think these online reviews play a really good role with them, um, when, when certain employees may be your front desk manager are mentioned a lot in these reviews, you can start to reward them. You can start to maybe even give your employees incentives, um, you know, if you're mentioned maybe five times this month, you get a gift card or something like that. I tend to see a lot of properties I work with do that to, to really improve the customer service overall. So it kind of plays a role in both potential employees and current ones, keeping them on board and, and staying motivated. Ryan Embree: I completely agree. This is super interesting stuff. And again, I think it's an aspect of feedback and reviews that get lost. Sometimes. 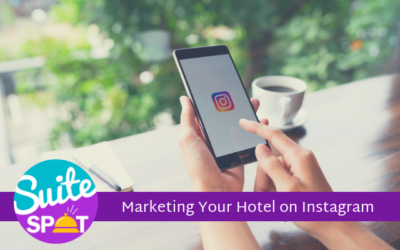 Hoteliers have kind of tunnel vision and they think, you know, this is really just for my potential travelers, but it's also for your internal customers, which are your employees. I also wanted to bring up training opportunities, you know, where do you want to invest your time in because that's almost just as important as the money. If you're seeing cleanliness issues or customer service issues, those are opportunities for you to retrain your staff on how a room should be properly cleaned, how your front desk staff should treat your customers because again, these are the points where you are potentially losing business. So I think there's a lot of value to this feedback and again, we don't want to look at it in such a negative light sometimes that I think some hoteliers do. Ryan Embree: We're going to transition to our Q&A where we've got some hoteliers that are really looking for some tips and tricks on how to get this feedback out. Uh, because of the most frustrating thing that I hear from hoteliers is when they really sit down and think how many five star experiences and potential reviews walk out of their hotel every single day, but aren't channeled in the right way to get that experience out to the public. And that's what it comes down to. If you will join us, we'll go ahead and transition to our Q&A and we'll get some best practices and tips from you. How's that sound? Brittany Hill: Yeah, that sounds good. Ryan Embree: Okay. So for our first question in our Q&A segment today, we're going to look at a hotelier that asks, you know, "what are some creative ways to receive more feedback from my hotel guests?" Brittany Hill: Well, I think what's most important when, when gathering feedback is the creative aspect to it, because there's so many hotels out there and, you know, there are some that are similar brands or there's, you know, everybody is fighting for a different space online. So being unique, being creative, especially in the way that you ask for feedback is very critical. So I think some of the ways, some of the properties I work with, they do some custom cards to ask for feedback that are labeled, you know, from the property some that I work with as well do a post stay email that comes right from the property as opposed to, you know, just getting that Google one or just the TripAdvisor one because it really portrays that the the property cares, um, that they're looking after you and that they really want to understand, you know, "Did you enjoy your stay? And can we do anything better?" So I think being very unique and being very proactive, um, is very important when it comes to asking for feedback. Like I mentioned in the beginning, they're getting in touch with your guests, you know, during their stay, but then also within the first few days of their checkout is important so that they can give you the feedback that is necessary as well while they're still remembering all those details of their stay. Ryan Embree: Yeah. And I think you mentioned another thing is just talking to the guest, right? Understanding you know, why they came to the property. I mean that has to do with your staff and at every touchpoint you know that sometimes a traveler will check in with a front desk agent. They will go to the room and run into a housekeeper. They'll come downstairs and ask a question, which might be another shift for the front desk agents. So that's, that's three people right off the bat that they come in contact with. Every single time that they're talking to these employees should be a touch point for your hotel, you know, they should ask them how they're doing. They should ask them if there's anything that they can improve on. Obviously we have these online reviews like you mentioned, which give them kind of an out to not really say how they feel, but really finding forums and channels for you to personally reach out to these guests and touch them I think is a really good, best practice when it comes to getting feedback. Ryan Embree: So the second one has to do with feedback. "Should I be responding to every review? Both positive and negative?" Brittany Hill: Absolutely. You know, I hear some hotel owners that, that believe, you know, maybe it's just important to respond to the negative ones since those seem to be, you know, the most urgent, but responding to those positive ones are just as important because your guest took the time to leave a review. They took the time to write about your hotel and praise you. So I think it's just as important to say thank you so much for staying and really, you know, welcome them back to the property anytime they want to come because you're really relaying voice of your property online so that guests, when they're reading these reviews, they have the right expectation of the type of guest service they're going to get when they're there and the team that they'll be supported by as they're staying with you. And there was even a study done by PhoCusWright for TripAdvisor itself. And they, they actually found 78 percent of online bookers, they say that managers that do respond to every review. So the positives, the negatives, even the neutrals that it seems that these managers, these hotel owners, they care more about their guests. So yeah, we're definitely seeing an upward trend and how important it is to respond to every review online. Ryan Embree: Absolutely. And you, you hit the nail on the head with that. I think one of the most unique ways that it was explained to me recently, which I thought was so impactful. These travelers are leaving you feedback, right? It's no different from somebody coming to the front desk at checkout and you know, a front desk agent asking "How was your stay?" and they say the same things that they would say on an online review, not responding that to that review would be like three people in line. One of them had a terrible experience and you respond to them and you empathize with them and you hear them and then the second person coming or saying, "You know what? I had a five star experience here. Everything was great!" and you not saying a word to them. So I think that was super, super impactful when I heard that and it really resonated with me and I hope it does for some of our listeners as well, that these travelers are just the same people that were just in your hotel that you had the opportunity to talk to. So you need to be having a conversation with them. Ryan Embree: And if you're looking for more tips, listeners on, you know, ways to respond to reviews. Again, we know how the brands are now starting to require some of this stuff and not just require, require it in a very timely manner. If you're looking for some tips and tricks, we actually have an educational webinar that we did called, "The Secret Recipe to a Perfectly Crafted Review Response," that is on our website and we can put it in our show notes as well. Um, so that you can go ahead and see if you're looking to implement some review responses. So, Brittany, I want to thank you for your time and you had some great insight today. Thank you for joining us on the call. Brittany Hill: Yeah, Thank you. Ryan Embree: If you are interested, Brittany is a well-tenured digital marketing specialist here and a great consultant for again, hundreds of hotels you're talking to you. If you're interested in learning a little bit more about how we can help you with your online presence. I'm sure Brittany would love to hear from you her phone number. She can be reached at 407-673-6156. That's 407-673-6156. I want to thank everyone for listening today and, uh, have a fantastic rest of your day. To join our loyalty program, be sure to subscribe and give us a five star rating on iTunes. Suite Spot is produced by Travel Media Group, our editor is Anne Sandoval with cover art by Bary Gordon and content support by Amber Wojcek. I'm your host, Ryan Embree, and we hope you enjoyed your stay.